Based on a true story. Liliana is a beautiful and educated young Jewish woman. She marries Henry and becomes a mother to Rebecca. She has a full life ahead of her in Poland, or so it seems. The time period is the beginning of World War II, when the Germans invade Poland. To protect her, Liliana and Henry entrust Rebecca to their Christian friends. Shortly thereafter, Henry is among those taken to the concentration camp. Time passes, and Liliana knows little about the fate of her husband or daughter. 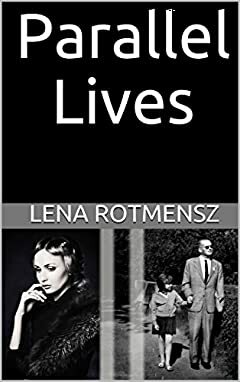 To survive, Liliana (now known as Helena) assumes the identity of a Polish aristocrat and ends up working for a German officer named Robert. In a twist of fate, Robert and Helena fall in love with each other and get married. Unknown to Liliana, Henry survives and reunites with their daughter Rebecca. He finds a way to communicate with Liliana, only to find out that she started a new life. Liliana has yet to reveal her true identity to her German husband. Filled with guilt and longing for Rebecca, she thinks of putting an end to all of the lies. Will Liliana finally overcome her fears and reunite with her daughter? Parallel LivesÂ is based on a true story. It brings the reader on a captivating journey of the "parallel lives" of a family who was separated by war. The journey takes the reader though a myriad of human emotions, including:Â love, jealousy, fear, despair, and freedom.